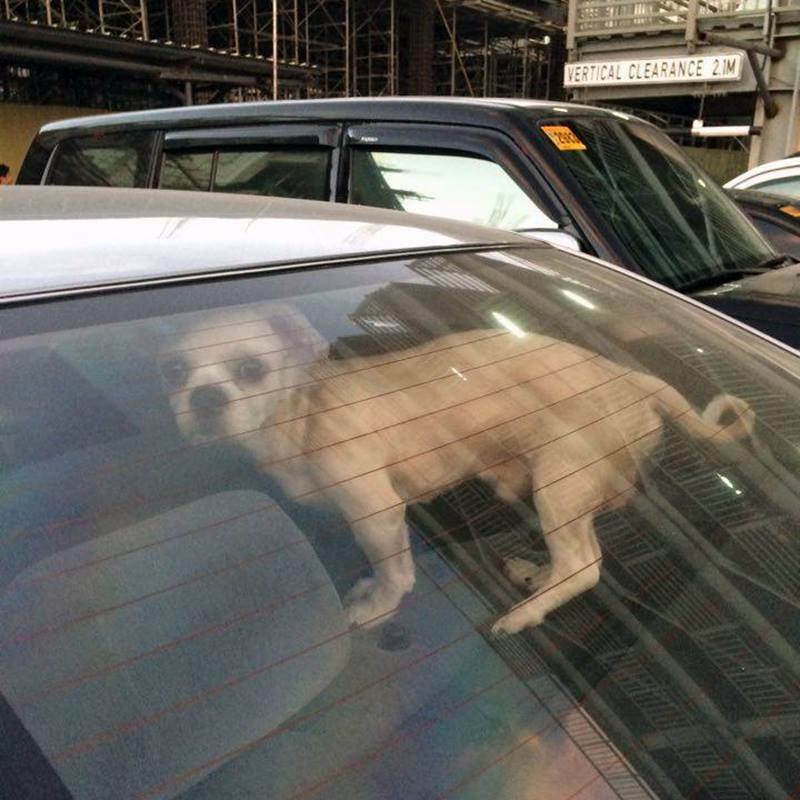 MANILA, Philippines- A photo of a dog apparently locked inside a car parked at UP Town Center in Quezon City is making rounds online. This dog was apparently left by its owner inside a parked car for more than an hour. The photo shared by a certain Louise Wong on Top Gear Philippines’ Facebook page earned the ire of pet lovers and other netizens. According to Wong, she and her companions noticed a dog abandoned inside a car with a minimal gap on the window at around 5pm on Sunday, January 31. More than an hour later, they were surprised to find that the dog was still alone in the car. Wong stressed that UP Town Center is a dog-friendly mall so the pet owner could have simply brought the dog inside the establishment instead of leaving it alone in the vehicle. “No matter how short the errand (and it wasn't), if they couldn't bring their dog with them, then they shouldn't leave it on its own to overheat or to be locked up,” Wong wrote. The post has gone viral getting more than negative 21,000 reactions and over 4,000 shares on Facebook. Several netizens quickly expressed their anger over the incident. “IF YOU WANT TO KILL YOUR BELOVED PET, this is what you do! We don't need a rocket scientist to know that inside temperature is waaaaaaaay higher than outside temperature so MUCH SO THAT LOWERING ALL OF YOUR WINDOWS will still kill them. Sorry for the caps. I just don't want to see broken-hearted pet owners,” Cheri Jose commented. The American Veterinary Medical Association warned against leaving pets particularly dogs inside vehicles since the temperature in enclosed cars can quickly elevate in a few minutes. Dogs are at risk of suffering heatstroke, which can quickly take their lives in just 15 minutes, when left inside a vehicle.